Archie J. Ryan, III is a native Floridian who has practiced law in the State of Florida since September, 1978. He is a member of the Florida Bar Association, the Broward County Bar Association, the American Bar Association, the Southern District of Florida, Broward Lawyers Care and Old Republic National Title Insurance Corporation. Mr. Ryan’s practice focuses on residential and commercial real estate, probate, civil litigation, estate planning, mortgage foreclosure defense, and mortgage modifications. 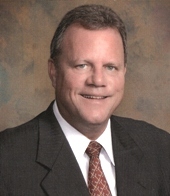 Mr. Ryan obtained his degree in Business Administration from the University of Florida in 1975 and his law degree from Stetson University of Law in 1978.